OMG, great post! I have only two suggestions, use tax refunds to invest directly into a Roth IRA and it is also a great way to save for a down payment to buy a home. Thanks so much, Ricodilello! The tax refund idea is a good one..not everybody gets one though..but it’s an easy start. How is a Roth IRA a great way to save for a down payment? Don’t you need that money for retirement? Sorry, I am Canadian, can you even take money out of a Roth IRA before you retire? Yes, you can take money out, which is why Roth IRAs double as amazing savings vehicles…you can take out any of the money you put in with no penalty or fees! 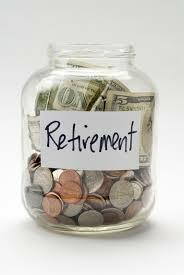 The interest generated, however, has to remain there until retirement or when you’re above 59…or else you’ll get taxed on it, plus a hefty 10% fee. Owning a house can be part of a retirement plan depending upon where you work and live. For example, I sold my big house for a profit and bought a smaller one for my retirement years. I then invested the difference in my investment account. Investing in real estate still has risks, living in the U.S. does have the advantage of being able to deduct mortgage interest & property taxes on your tax return. I guess that I had better write a new post on “Buy or Rent a House?